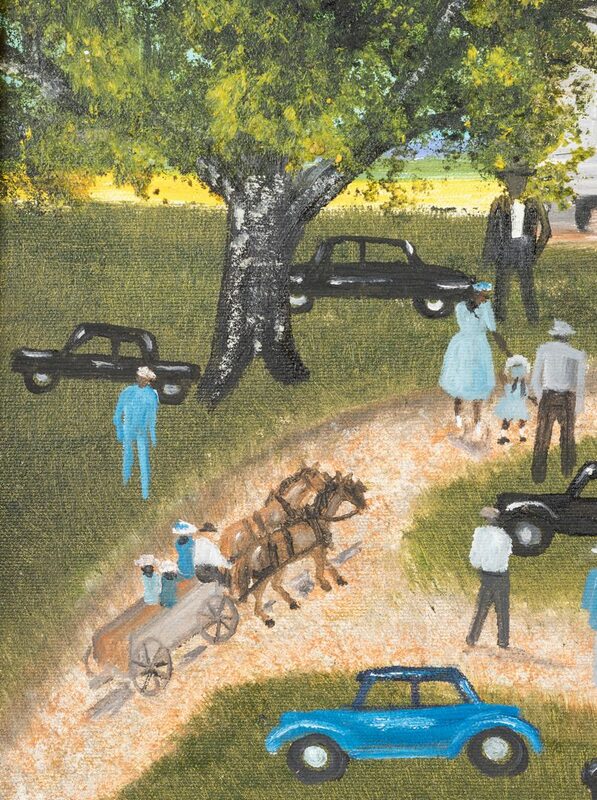 Helen LaFrance (Kentucky, b. 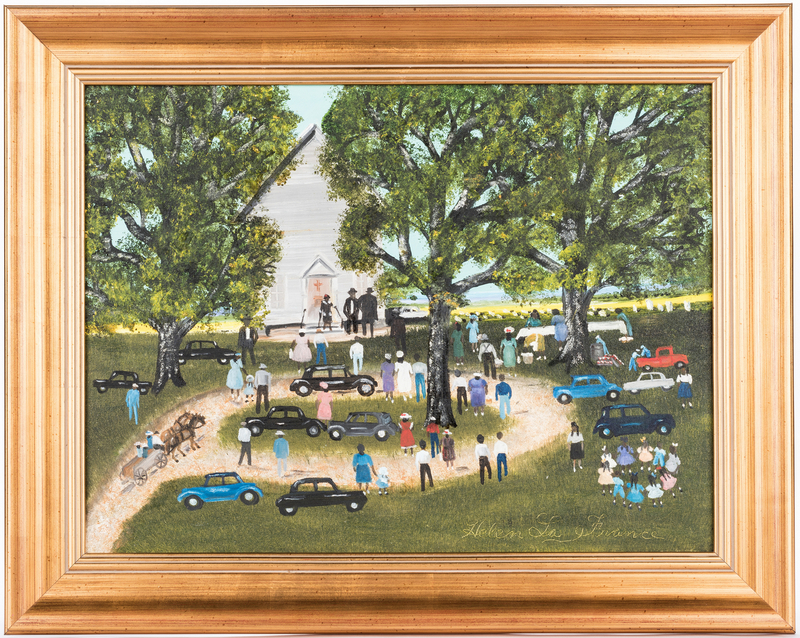 1919) oil on canvas landscape painting depicting a Church Picnic, with automobiles parked in front of a church and horse and buggy approaching lower left; a table is being spread in the right middle ground while little girls play a circle game in the right foreground. Signed lower right. 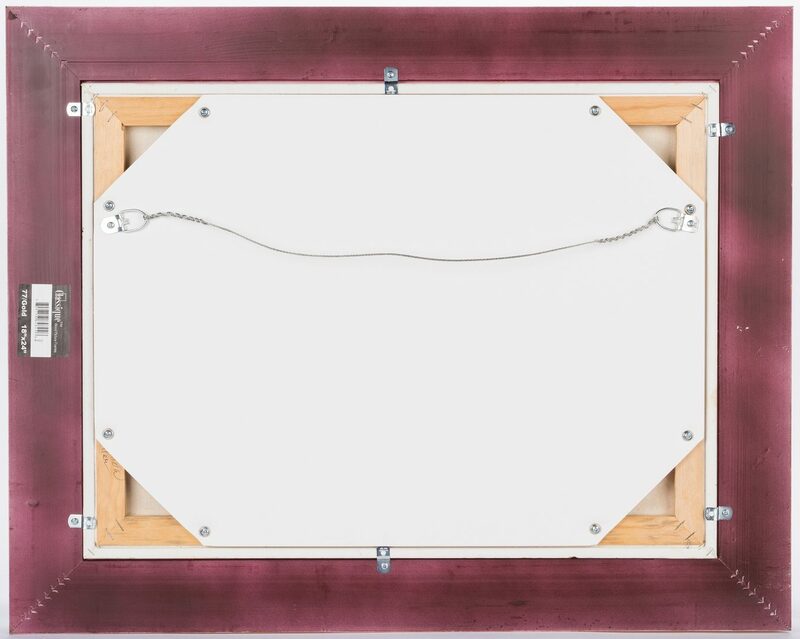 Housed in a giltwood molded frame. 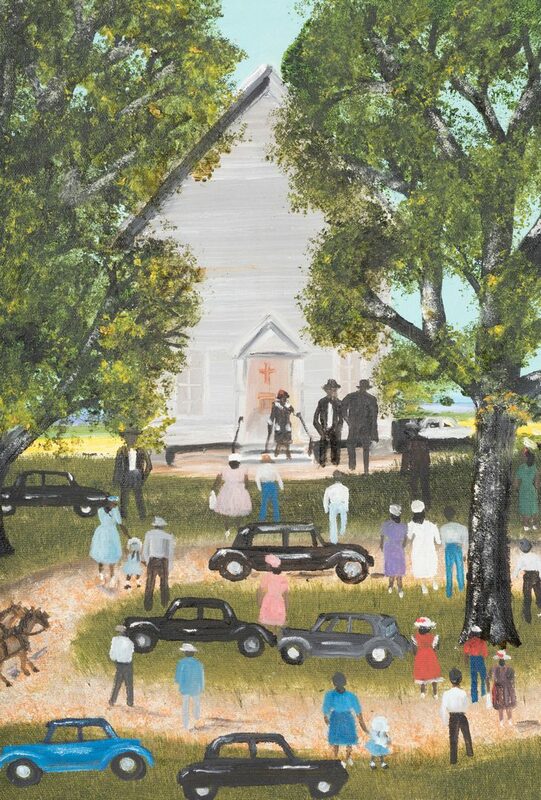 Sight – 17 1/2" H x 23 1/2" W. Framed – 23" H x 29" W. Biography: "Self-taught African American artist Helen LaFrance was born on a Kentucky farm and began painting in her 40s. 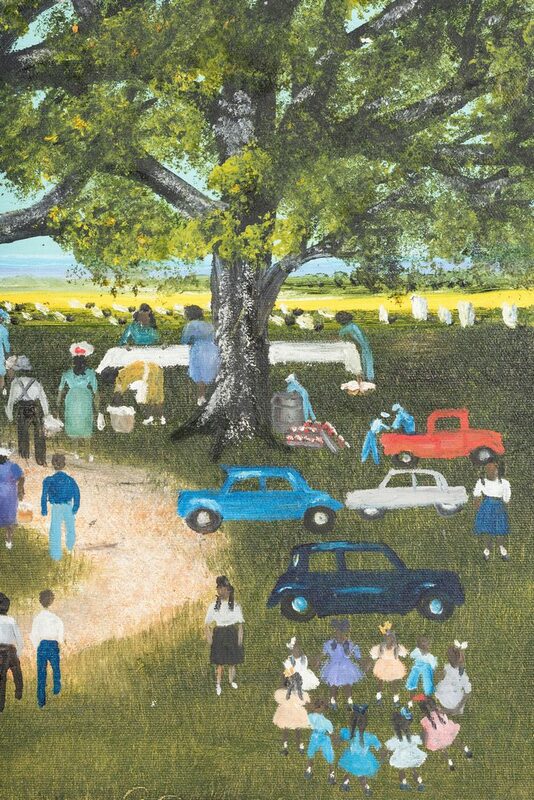 She is known for her "memory paintings" – drawn from her recollections of life growing up in the rural South. Several museums and private collectors, including Oprah Winfrey, own examples of her work. Now nearly 100 years old, she resides in a Kentucky nursing home". 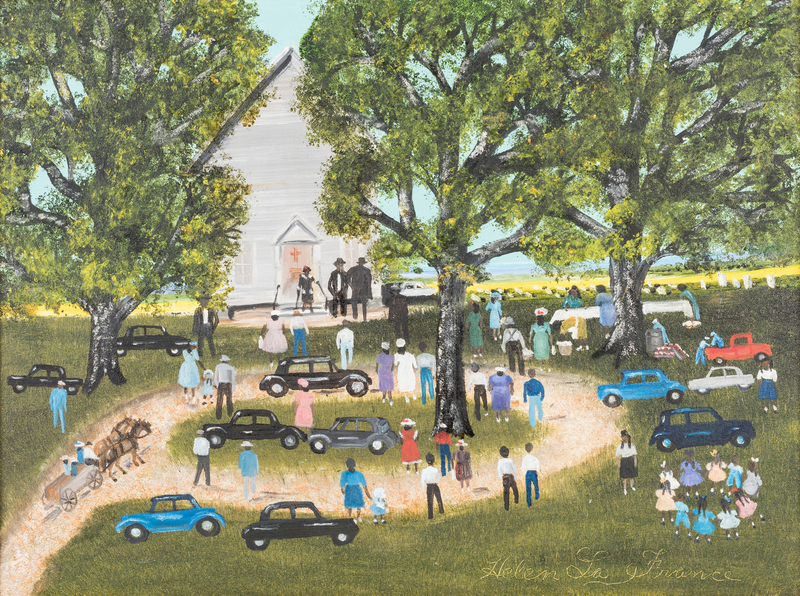 (Source: "Helen LaFrance Folk Art Memories" by Kathy Moses). 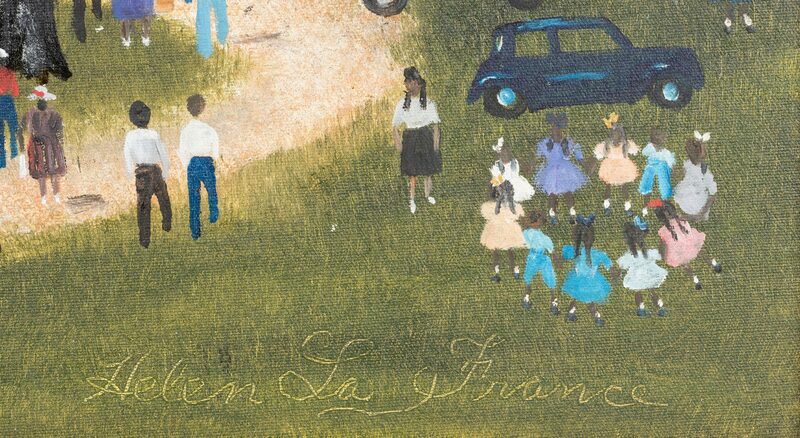 Alternate spelling: Helen La France. CONDITION: Excellent condition.